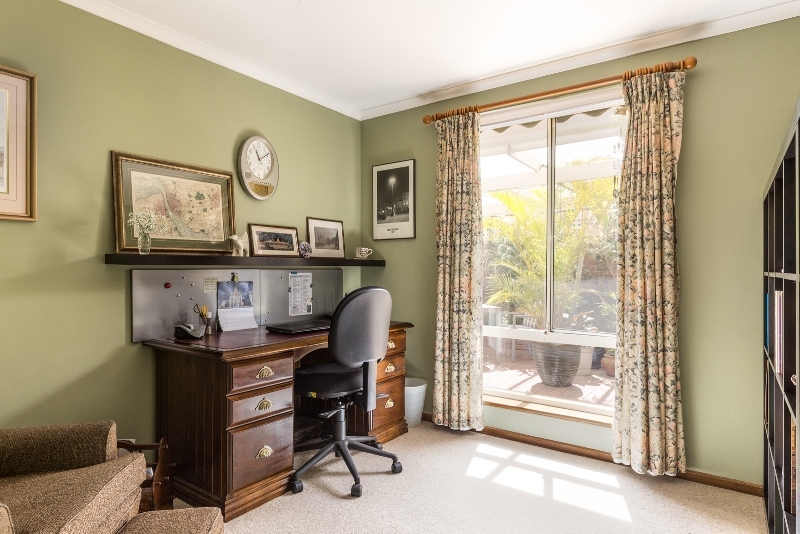 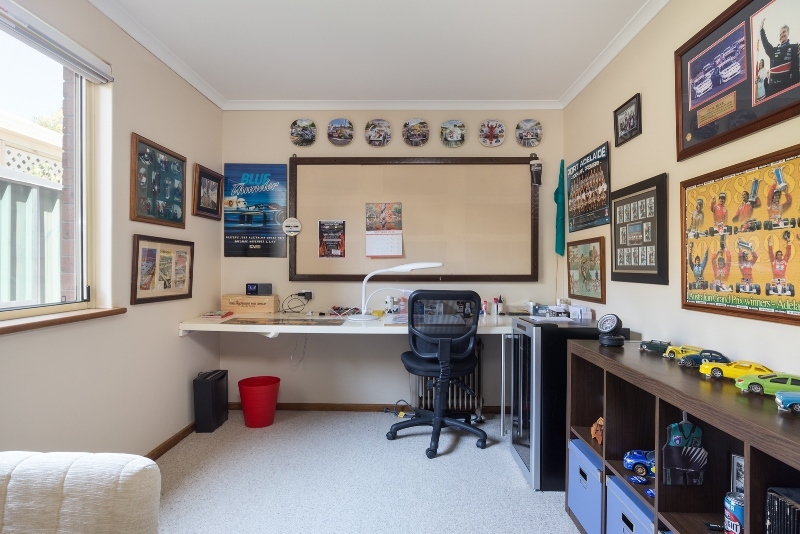 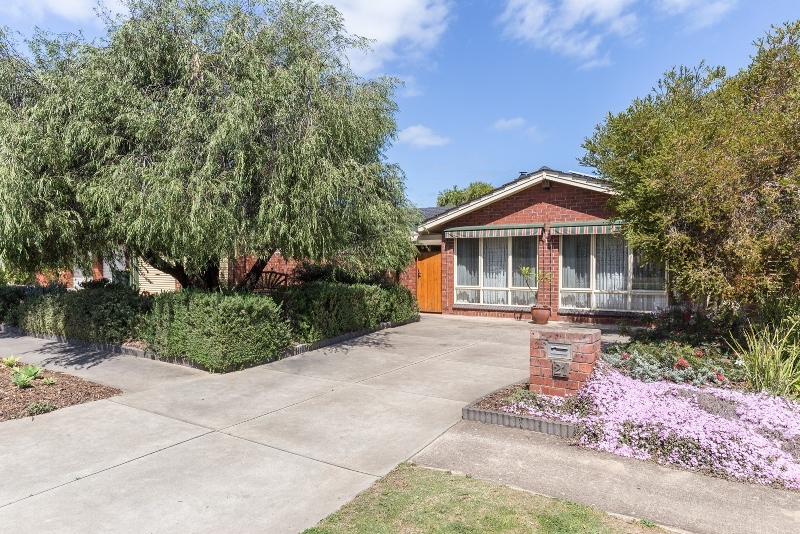 A quality, spacious and well presented West Lakes family home. 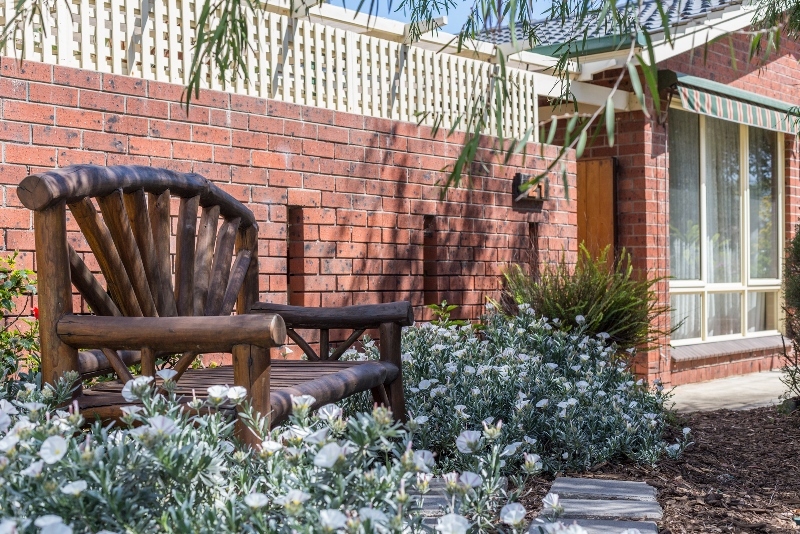 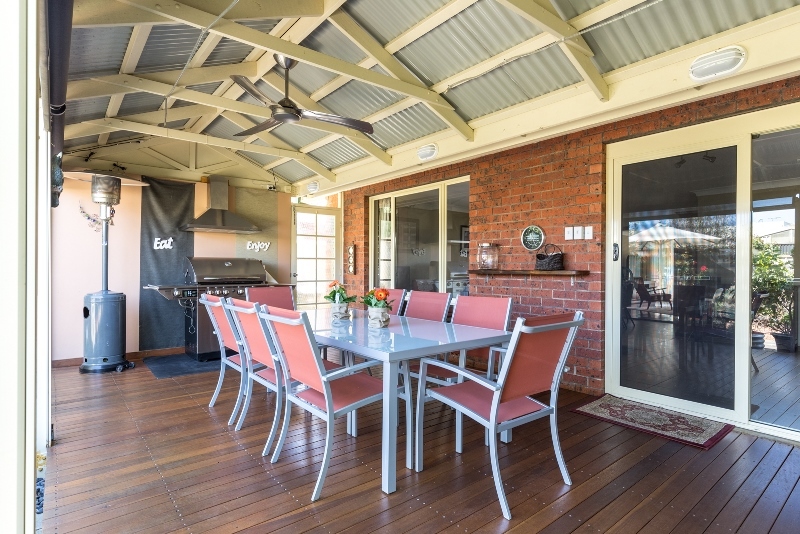 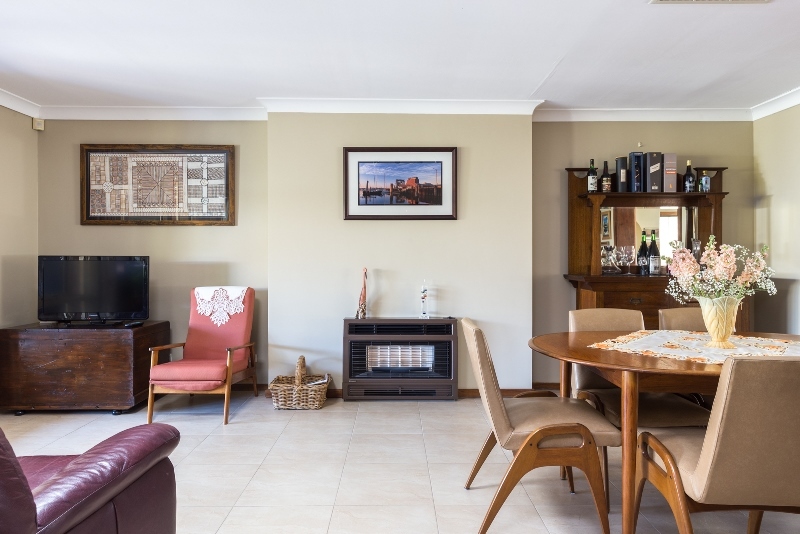 Positioned on approximately 701 sqm of land, this double brick home ticks all the boxes. 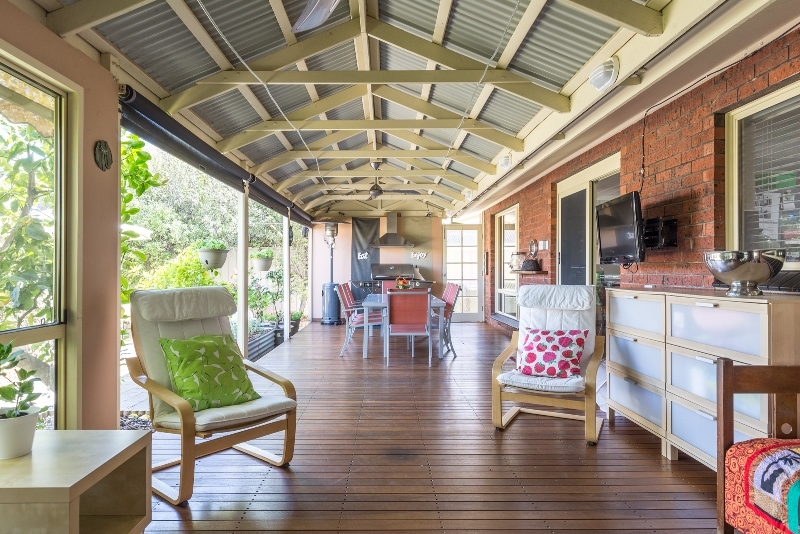 Modernised and well presented throughout, offering four bedrooms, two bathrooms and two large living areas – and not to forget, the huge decked pergola, the full width of the house and fully enclosed by blinds- offering what is really another living area to entertain, whatever the weather. 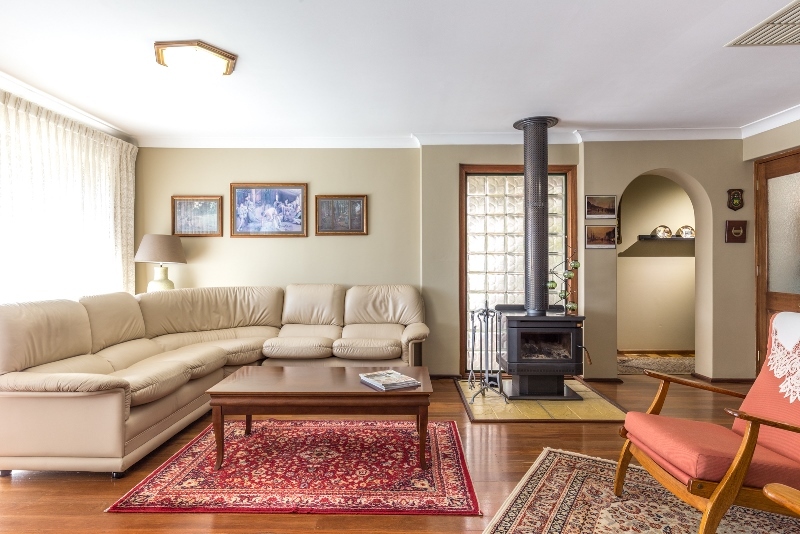 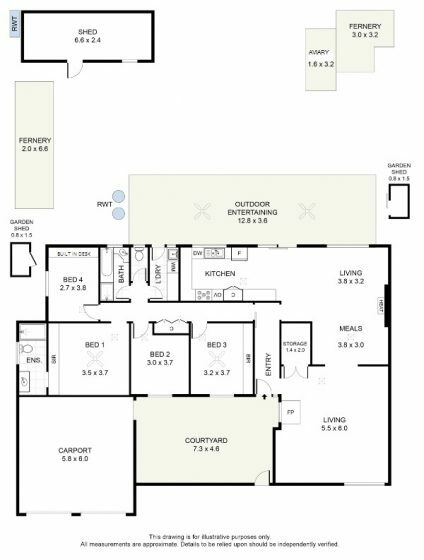 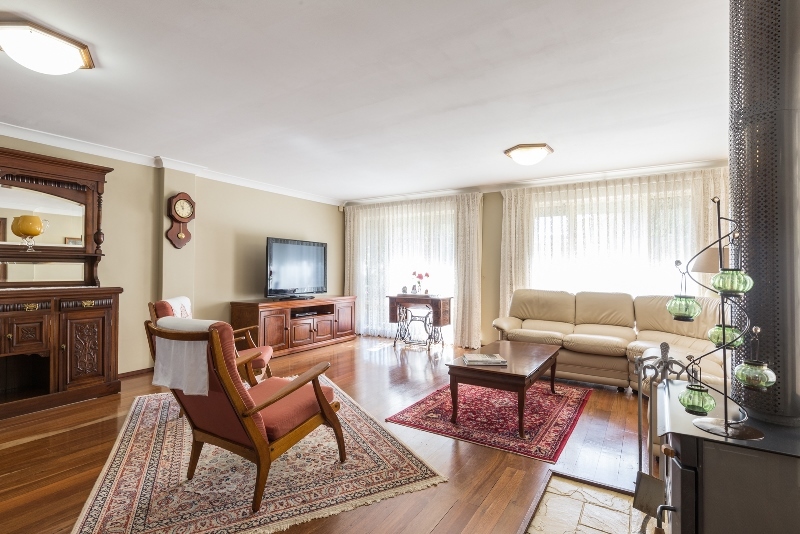 The two living areas are large: – a big formal lounge with jarrah floors and combustion heater leading to the open plan kitchen/dine/living area. 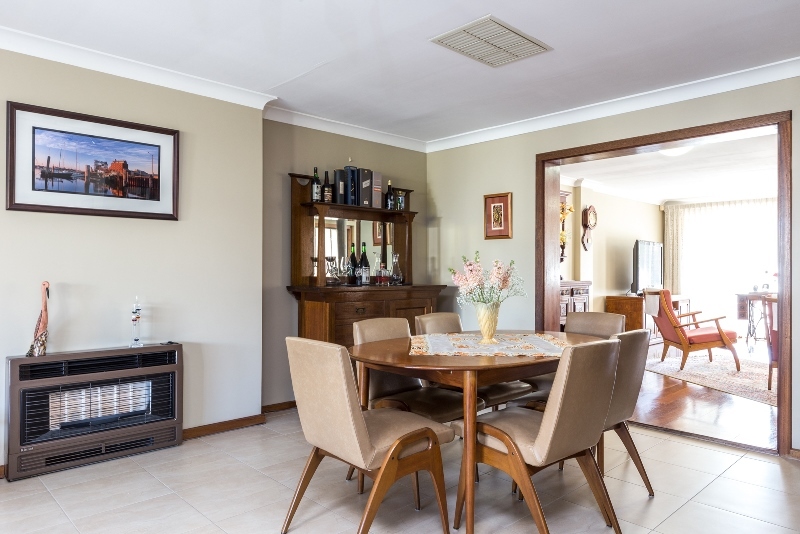 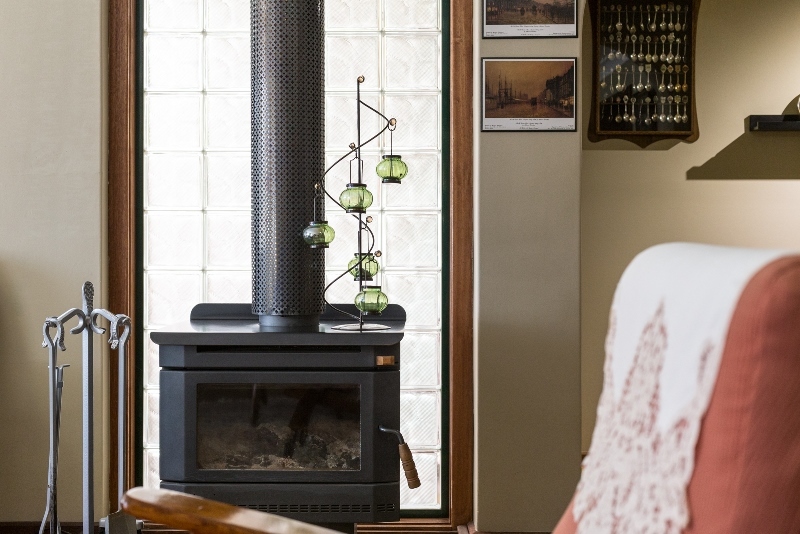 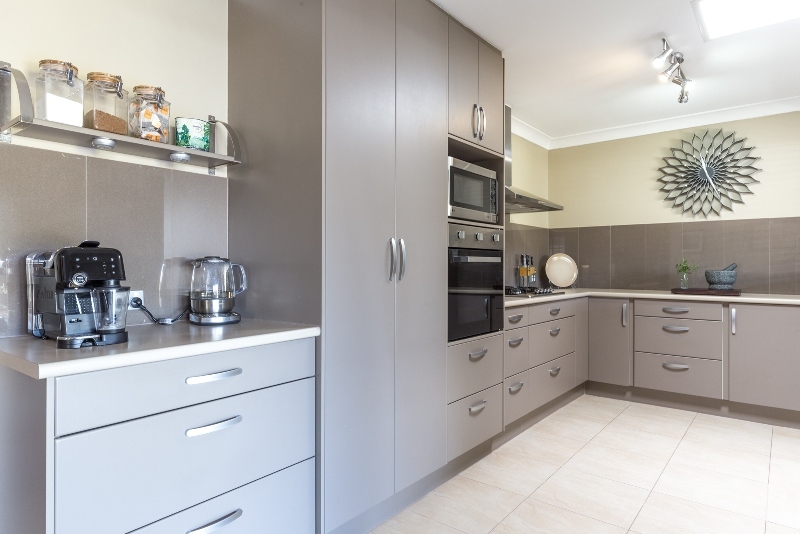 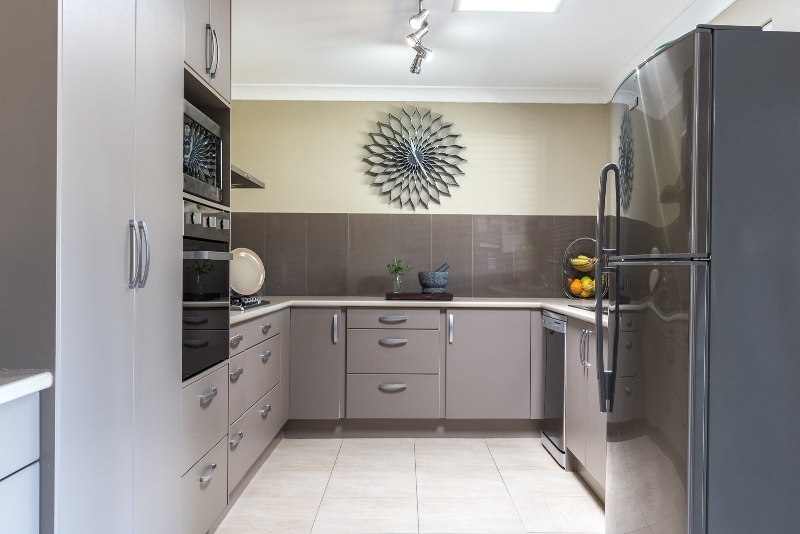 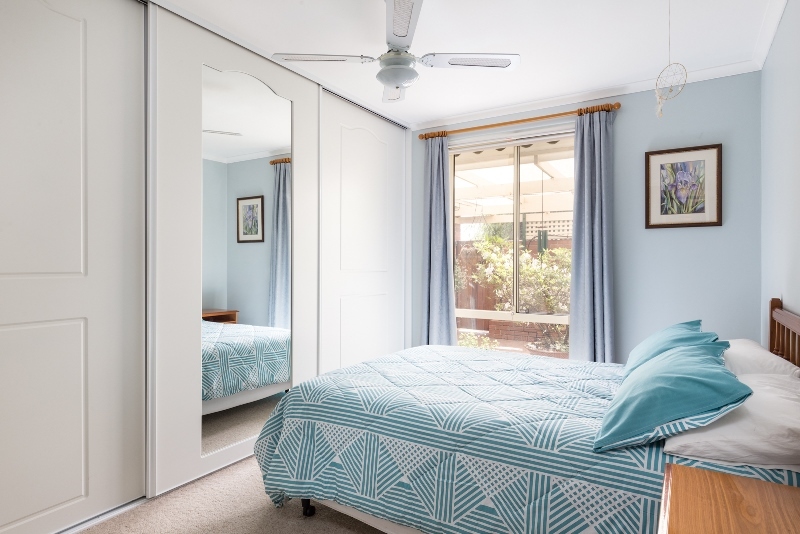 The modern, renovated kitchen looks out over the rear entertaining area and the informal living area with gas heater and doors that open out to the rear. 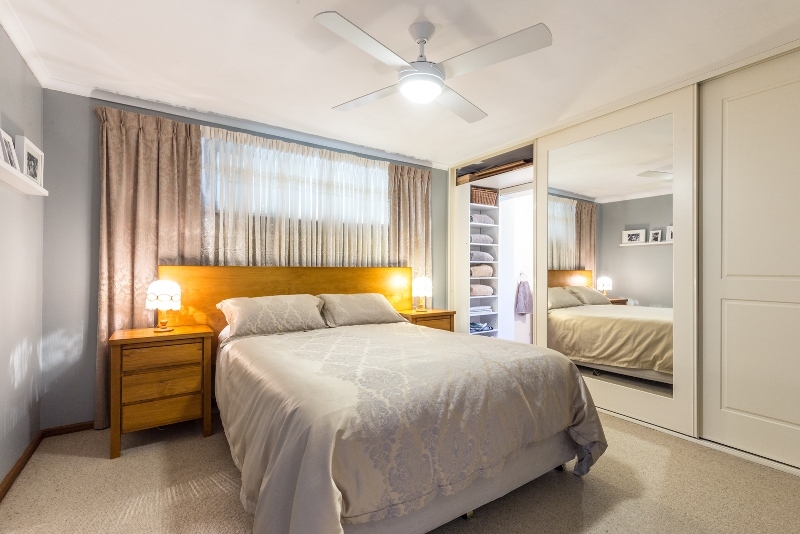 The master bedroom has a modern ensuite shower room and built in robes, bedroom 2 has built in robes also. 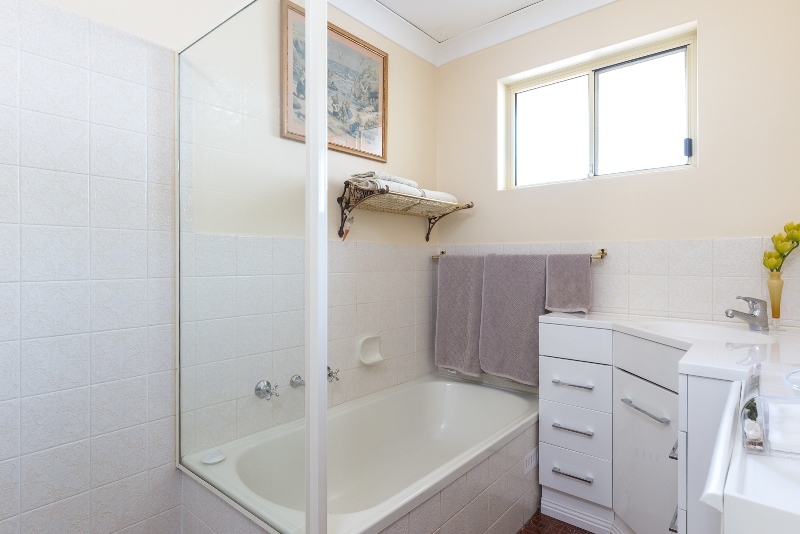 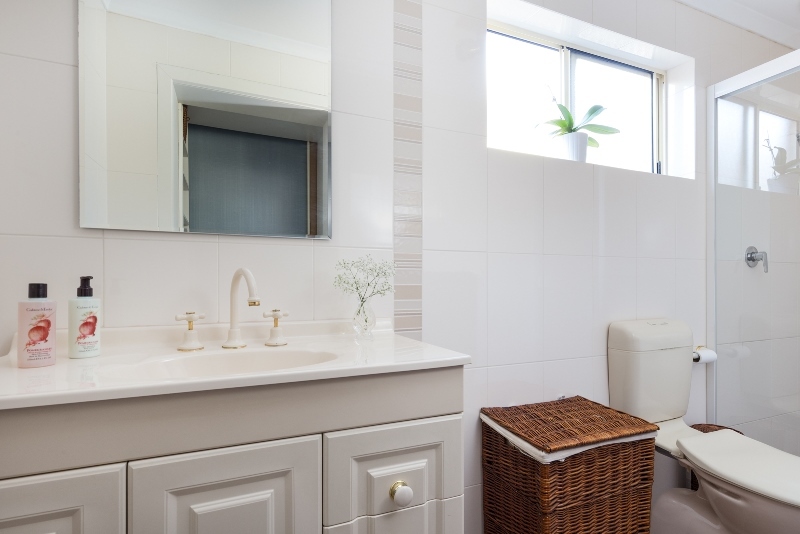 The main bathroom is separate from the w.c. and laundry – all are neat and tidy. 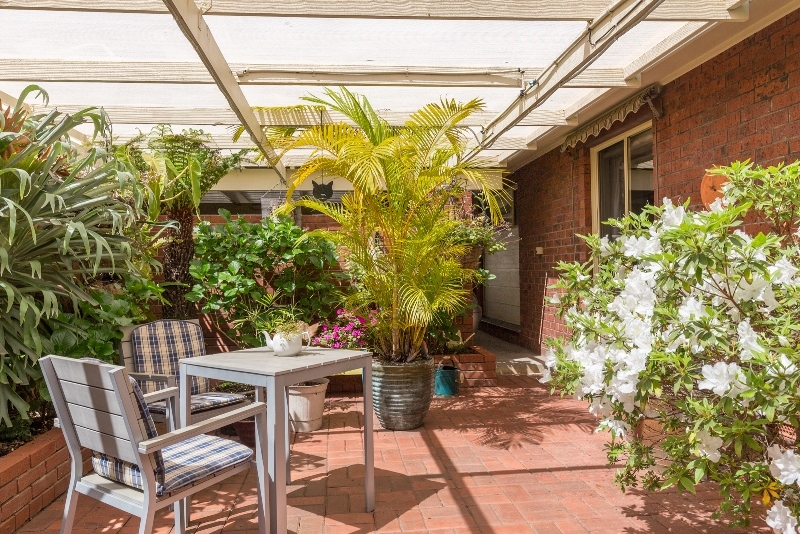 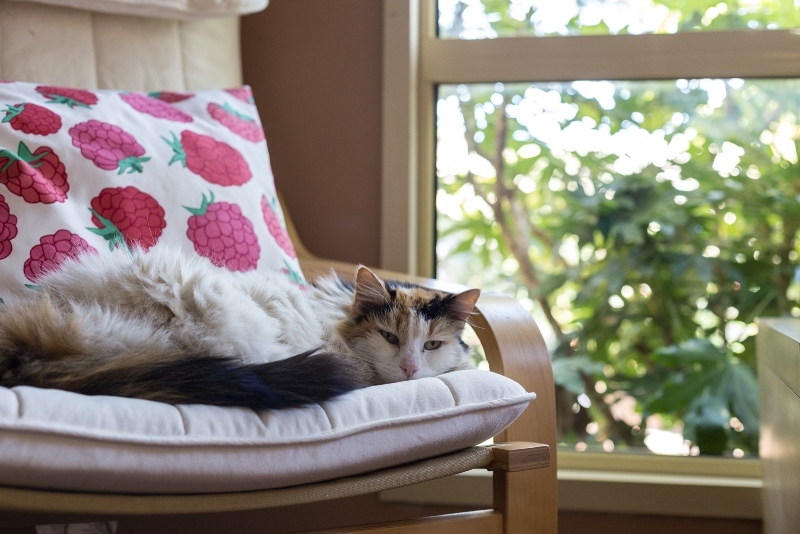 The home is spacious with plenty of garden area, both to the front and the rear. 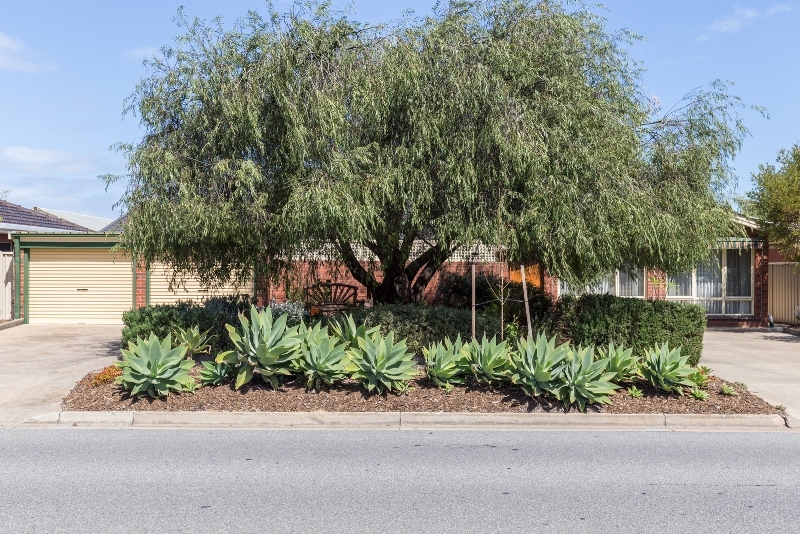 There are twin driveways at the front of the property offering ample parking with a double carport. 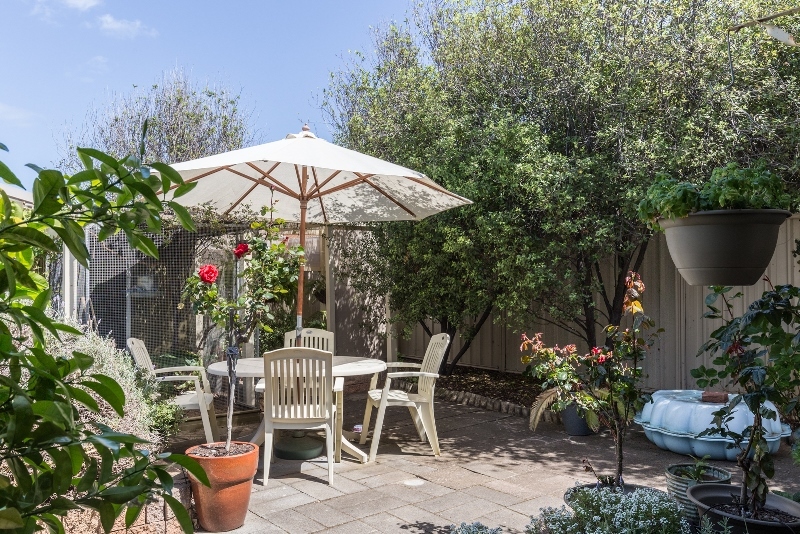 The rear garden is mature and beautifully kept with both sheds and water tanks. 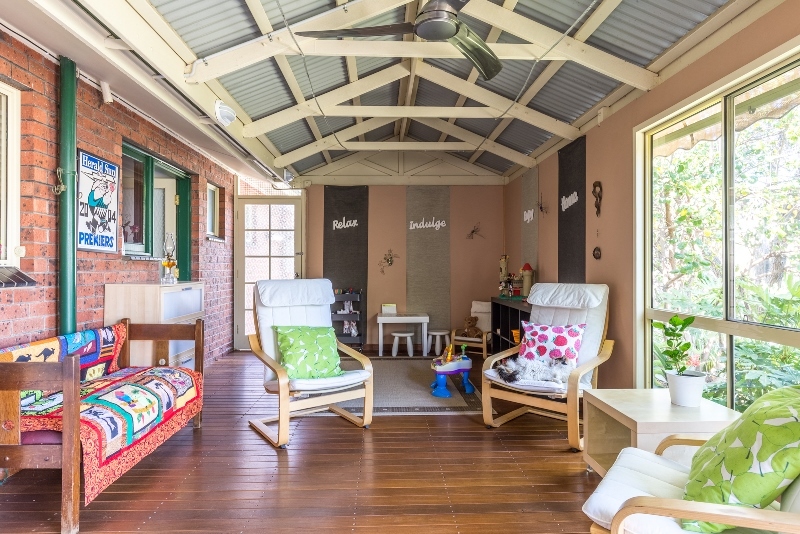 Other benefits of this family home include ducted evaporative air conditioning and solar panels.